Copenhagen: In line with its promise that it would not be a deal-breaker, India on Sunday narrowed the gap over climate-change talks to three of 46 points—but in agreement only with other developing countries. Meanwhile, Kirit Parikh, leading Indian economist and the creator of India’s energy policy—on which the Planning Commission based the energy reductions that Ramesh has brought to the negotiating table—told the Hindustan Times there was “no point in sticking to the idea that there should be no emission cuts for developing nations". Like most developing countries in the Group of 77 (G-77) and China, India said it would not accept three points in the LCA draft: defining a “peaking year"—after which greenhouse gas emissions must decline; emission cuts for all nations, rich and poor, so global temperatures do not rise beyond 2 degree Celsius by 2050; and international verification of domestic mitigation action. “The LCA draft has 46 paras, we don’t agree at all with three and can negotiate on another three," Ramesh told reporters in Copenhagen on 12 December. With this, differences that emerged last week between Brazil, South Africa, India, and China, (called the BASIC countries) and African and island nations appeared partially papered over. “It (the LCA proposal) has been prepared in agreement with the African block," Ramesh said. India is now ready for “domestic verification" of its mitigation actions along UN guidelines, which have yet to be finalized. “Our domestic actions will be provided to UN once in two years only as information and not verification," said Ramesh, acknowledging that hopes of an agreement in Copenhagen were bleak. Parikh has said that he sees Copenhagen as “just the start of the negotiation process", and real progress will need greater concessions from all sides. “I would like to see deep cuts from the West, strong action to allow developing countries to transition (to a low-carbon economy) and for developing countries to start thinking of cuts," said Parikh, who has advised five former prime ministers and is chairman of the Integrated Research and Action for Development, a New Delhi think tank that boasts Prime Minister Manmohan Singh on its governing council. “It doesn’t make sense that developing countries should have exemptions for ever," said Parikh. “Then there will be no incentive to reduce emissions." Thus far, the developing world is standing firm on the Kyoto Protocol, which mandated cuts for the rich only: global emissions have risen 30% since then. Ramesh blamed differences among the developed countries for lack of progress at Copenhagen and said the West must be blamed. “Europe and Japan have refused to sign any agreement on strong emission cuts without the US on board. 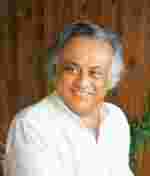 The US has refused to be part of Kyoto," Ramesh said. “India will not accept anything other than Kyoto and wants an agreement." India has also rejected an Australian proposal that heads of all states and ministers should decide the final text for a political statement to be made on 18 December, a day after countries announce their domestic climate plans.